There is much that the defenders of reason can accomplish when we make our voices heard. That is why I am appealing to readers, especially parents, to find out what is happening in the name of religion in their local schools, and, if they learn of any teaching of creationism or other improprieties, to share that information. Many readers, even here in the UK, will be astonished at the privileges granted to religion in our schools. In Scotland, in particular, there are things called denominational (mainly Catholic) schools, where the hierarchy has direct input into the curriculum. But even in non-denominational schools, it is normal for there to be a chaplaincy committee representing local churches, and for ministers from these churches (and in some schools, very occasionally, Humanists and other non-Christians) to address school assemblies, conduct religious Observance (RO), and have input into Religious and Moral Education (RME), which is part of the academic curriculum. RO must by law take place at least six times a year and is generally conducted in school assemblies. It is meant to represent the “shared spiritual values” of the school, an impossible task in a country where close to half the population are non-believers and the others fragmented in their affiliations, so in practice it tends to degenerate into acts of Christian worship. RME is meant to be a curricular subject, taught without advocacy. We know of areas where it accepts input from an organisation that sells a magazine called Answers, as in Answers in Genesis, but when directly questioned they claim that their actual school materials keep to the curriculum guidelines. There’s more. By law, the Education Committee of every local authority in Scotland has to include three representatives of religion. One Church of Scotland, one Catholic, and one other, chosen by ill-defined processes to represent religious views in the area. Non-believers need not apply; you have to have a position within a religious organisation in order to be considered. And these are not just observers (which would be bad enough) but full members, with voting rights. According to the Church of Scotland’s data, these unelected persons hold the balance of power on 19 of Scotland’s 32 local authorities. Dinosaurs drown beneath Noah’s Ark. As it happened, on September 3 the Scottish Secular Society was discussing with the Scottish Parliament Petitions Committee its petition to change the procedure for enrolment in Religious Observance from “opt-out” to “opt-in”, aimed among other things to end the abuses that stem from assuming assent to RO. The timing could not have been more appropriate. It was soon discovered that the chaplain from West Mains had been active in the school for eight years, had contributed not only to RO, but to the supposedly non-doctrinal Religious Education syllabus, and without informing anyone had photographed school events staged by his church, and that this material had been used by Adventures in Mission in publicity material in the US. Parents were furious. Over 150 attended a meeting at the school the following week, a fantastic turnout given a total enrolment of 400, and the probability, because of child minding concerns, that only one parent could attend per family. South Lanarkshire’s Education Director was there, and had already received (I sent him) a detailed description of the books in question. Within days, the head teachers responsible for the fiasco had been reassigned, West Mains Church had been barred from the school, and an enquiry started into the role, and degree of collective responsibility, the chaplaincy team. It is that last seemingly minor technical detail that I find most encouraging. Given the furore, the rest was inevitable, but the Education Director was going beyond the immediate crisis to ask more fundamental questions. What was the rest of the chaplaincy team doing? How come they had allowed this outrage, and what else might they have allowed to happen during the eight years that they had allowed one extreme benighted sect to speak for all of them? The other victory took place very quietly; an unannounced resignation from an obscure committee. Again, a little bit of background. Dr Nagy Iskander is a surgeon, pillar of the local Westwoodhill Church, and runs a charity called JAM (Jesus And Me), which gives out free Advent calendars to schools. One of my colleagues at British Centre for Science Education looked closely at last year’s calendar, and found that it said Christmas was meaningful because of Easter, Easter was meaningful because of Original Sin, and Original Sin was something we all inherited from what Adam and Eve had done in the Garden of Eden. Dr. Iskander is a close friend of Kenneth Ham, of Answers in Genesis and the Creation Museum, and has spoken in praise of the literal truth of Genesis, which he regards as foundational to Christianity. That’s right. He says you can’t really be a consistent believing Christian unless you believe the world is 6000 years old, and created in six days, birds and whales before land animals. Ken Ham, on his website, boasted that Dr. Iskander was on his local authority education committee. At first we thought this was an incredible claim from an unreliable source, but when we checked we found out that it was true. Remember that every LA education committee in Scotland has to include, as full voting members, three representatives of religion; one nominated by the Church of Scotland, one by the Catholic Church, and one other to represent local religions. For South Lanarkshire, which includes East Kilbride, that third person was, indeed, Dr. Iskander. We also discovered that Dr. Iskander was on the chaplaincy team of Calderglen High, another non-denominational school in East Kilbride. I blogged about this, and the story was picked up and discussed by the Sunday Herald, one of Scotland’s most respected newspapers. Shortly before the beginning of the new school year, Dr. Iskander disappeared from the chaplaincy team. So two victories, in both of which I may have had some role, which is what makes this kind of thing worthwhile. Am I happy? No! One of the Churches on the reconstituted chaplaincy committee is Westwoodhill Evangelical, Dr. Iskander’s Church, which believes in the word-for-word infallibility of the Bible. (Or at least they used to; their site has mysteriously gone dead and we had to dig in the archives.) Dr. Iskander still sits on the South Lanarkshire Education Committee. If he steps down he will be replaced using the same process that led to his appointment. Meantime, we know that Prayer Spaces in Schools, which claims miracle cures, are being allowed to tell little children that they are sinners until washed clean by Jesus, and PWAMM (People With A Mission Ministries), which promotes Answers magazine (as in Answers in Genesis), provides materials for Religious Education courses, and has just sent its Challenger buses on tours of the Hebrides and Orkney. It seems there is no end to this nonsense, nor will there be, as long as schools are compelled to provide Religious Observance, the supervision of Religious Observance and Religious Education is in the hands of chaplaincy teams on which non-faith positions have no representation, representatives of religion continued to enjoy unelected positions of power that they have done nothing to earn, and the mainstream churches themselves fail to recognise creationism for what it is, a cancerous growth. Check out Paul Braterman’s blog at paulbraterman.wordpress.com, and on twitter at @PaulBraterman. And while you’re at it, follow me as well. Posted on September 26, 2013, in Atheism, Christianity, Creationism, Education, Faith Schools, Fundamentalism and tagged British Centre for Science Education, East Kilbride, Education in Scotland, Evolution, evolution education, Religious education, Science Education, Scotland, secular, secularism, Young Earth Creationism. Bookmark the permalink. 31 Comments. Ah…what sneaky gits they are! Excellent outcome. Well done Paul Braterman! When I heard what they had been teaching in their tracts, my first response was that it would fall foul of equalities and hate speech legislation, not to mention the relevant teaching guidelines. Perhaps things are different north of the border. It’s good to hear that parents felt strongly enough about this to actually force through/support a response. Perhaps everybody in a named role with a school should be on a public register with affiliations and so forth noted? Surely all this should be in the public domain and should be easy to search, without needing to go individually to each and every school web site or premisses? Maybe this is already the case and my google foo is not strong. Exactly right. And there never will be as long as we continue to grant faith-based beliefs of any kind privilege in the public domain. It must be ended by legislation. Supremely well done. Thanks for sharing this post. I’ve had my own concerns about RE in school, as a result have withdrawn my Son in 4th year, last term he, in attendance in RE addressed the class stating the Bible has no peer to peer recording and in his opinion is dangerous and lies, the response was for another teacher to remove him for being Offensive and disruptive, his punishment! … the teacher who removed him ‘Read passages from the Bible to him for one hour’ well needless to say we were beyond angry at this… the arrogance and in our eyes abuse! that this is was addressed to the fullest. though how often does this happen and goes unreported? 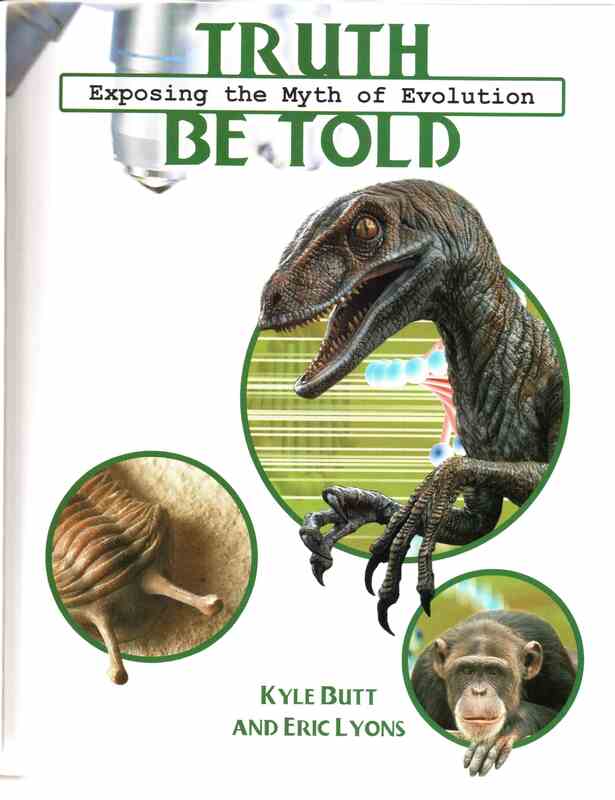 I am one of the parents and I have spent the last 8 years supporting American teachers against Intelligent Design, it is impossible to describe the look on my face when my son handed me a book ” exposing the myth of evolution”. I literally checked for cameras, of all the tiny schools in Scotland they chose my children’s, irony does not quite sum it up. While I was battling to keep Creationism out of American schools, Creationism had been in my local school for years right under my nose. If I have one observation to make it is this; To an atheist these beliefs are bordering on certifiable, however to religious members of the Chaplaincy committee and other Christians they are considered a little bit old fashioned, they are coming from a different datum and some found our objections to be an overreaction. That’s a very good point Niall. Some of the articles demonising the Church of Christ have been excessive, too. It seems to me that the problem here isn’t that the schools felt that they needed to add that a creator may have been the reason why the universe exists. In fact, I would say that it is fair to present that material. The issue comes when children are forced to hear one option for that God or to go into gross detail. It is especially bad when they must be a part of religious ceremonies that worship a particular God or follow a given set of religious practices. When I hear conservative friends in the state start saying that our schools started going wrong when prayer was removed from them I am always amazed. I like to point out that religion is a choice and not a mandate. They only think that this is what they want because they think that their choice will be the one that is in the schools. As an example I like to ask them to imagine their Grandchild attended school in Utah and the community decided that prayer would follow the tradition of the Latter Day Saints Religion. Are you OK with that? This usually gets a blanks stare or a understanding that prayer lead by the school is just not OK. Of course if they were Mormon then they might think differently, but then I would ask them if they were in Dearborn, Michigan and the prayer was Muslim. The point is the same. I am glad to see the folks you write about flexing their freedom of choice. I hope it did not keep them from looking toward Christ. One day, each one of us will have to appear before the Lord Jesus Christ, our Creator, on the Day of Judgment. Some of those who do so will need to give an account of why they did not believe He was God, why they denied He came down from heaven to provide a means of forgiveness from original sin, why they deny His crucifixion and resurrection, why they promote the theory of evolution (which is impossible biologically and is contradicted by the fossil record), and why they oppose so bitterly the activities of those who try to share with others the Good News about Him. Can anyone criticize religion and those who try to spread it and not be declared ‘bitter’ or described in some other suitably negative term like militant or strident or angry, I wonder? Oh well. Should I ever have such an accounting, I will be – as I always am – honest: my opposition is because I have compelling contrary evidence from reality and wish to reduce to the harm caused by acting on faith-based thinking. “which is impossible biologically and is contradicted by the fossil record”. Creationists have been attempting to rubbish the theory of evolution (as it now is not Darwin’s/Wallace’s original version) for many decades. And have failed to convince the worldwide scientific community – only themselves and scientifically ignorant or anti-science folk in the pews. Now they seem to have largely given up and either reactively produce books ‘refuting Dawkins’ (not books giving the ‘scientific evidence for young Earth creationism’) or else churn out propaganda videos such as ‘Evolution vs God’ which demand to see molecules to man evolution and speciation beyond ‘kind’ boundaries ‘before my very eyes’. Your post implies that – for many people – they need to reject science before they can honestly receive Christ. Why does God require that? And why did God give us the Bible before humanity had a scientific understanding of the universe? Perhaps because the false knowledge warned of in scripture was wrong philosophy and wrong religion or wrong doctrine? Would you by any chance be the creationist Tony Bennett, sometime UKIP officer? Can you explain to me why the biological impossibility of evolution and fossil record contradictions have never been submitted to the science community for peer review? Why are these so called scientific ” facts ” never exposed to scientific scrutiny and test, and why do Creationists intentionally and in my view insidiously target individuals lacking in scientific knowledge? It seems to me Creation Science( ID) is committed to removing doubt, and yet without doubt the concept of faith has no real substance, faith is not a decision based on evidence, it is doubt that is conquered by faith. Creation science is a religious belief emptying itself of faith. In answer to your first question, scientists who hold a ‘young earth special creation’ belief about origins are simply not allowed to submit their papers to the ‘science community’ for peer review. Because the ‘scientific community’ insists that evolution is true, creationist scientists are not even invited to submit papers for peer review. For a recent illustration of this mindset, look no further than the treatment meted out to the former Royal Society’s Director of Education, Michael Reiss, after merely arguing (2009) that creationism and intelligent design should be addressed as a ‘world view’ if they were raised by pupils. He didn’t go further than that, yet the scientific establishment aggressively rounded on him and forced him out. On your second point, I am not aware of any creationists ‘intentionally targeting individuals lacking in scientific knowledge’. To give just one example, Creation magazine is targeted at the lay reader, but there is also a Creation Technical Journal for a scientific and academic audience. Look also at the Answers in Genesis website. Detailed scientific papers on such issues as the origin of sedimentary rocks and analysis of ice cores can be found there. On your final point, a Christian’s faith is most certainly based on evidence. It is a fully rational belief. One of the foundational evidences of the Christian faith is that the Bible has an unequalled record of historical accuracy. Not one verifiable historical fact in the Bible has ever been falsified. Similarly, it has an accurate record with regard to prophecy. In the Old Testament, just to give one example, there are at least 80 specific prophecies about the person who would be mankind’s Redeemer, or ‘Messiah’. These were written hundreds of years before Christ. How else can we explain that all of these were fulfilled to the letter, unless it be that Christ was God, as He claimed? For a recent illustration of this mindset, look no further than the treatment meted out to the former Royal Society’s Director of Education, Michael Reiss, after merely arguing (2009) that creationism and intelligent design should be addressed as a ‘world view’ if they were raised by pupils. He didn’t go further than that, yet the scientific establishment aggressively rounded on him and forced him out. I know Michael Reiss well; he is my PhD supervisor. His treatment during that affair by the press and certain members of the Royal Society was horrible and absolutely unacceptable. Despite this, I am confident that he would be the first to say your argument is mistaken. There is nothing to stop creationists submitting articles for peer review. They just don’t get published, because so far no creationist arguments have been found to have validity according to accepted principles of the scientific method. The scientific community has actually given a great deal of time to creationist arguments (more than they really merit), as demonstrated by the large amount of literature available, online and in print, discussing the merits of creationist claims about evolution. Could you please give some scientific evidence for the impossibility of evolution? Or perhaps an example of fossils that clearly contradict it? Because I’ve seen and read quite a bit on the subject, but admittedly I’m no paleontologist. Please, by all means, fill in the gaps! By the way, the “Good News” originally was “The Kingdom of God is returning, and the oppressed will be freed from oppression both on earth and in the afterlife.” The incessant claim of “You are evil and doomed to eternal torment until and unless you choose to accept and worship our small-minded, sadistic parody of the Christian God” that I hear from so many self-styled missionaries is NOT good news by any stretch. There was a recent book by a creationist named John Ashton entitled ‘Evolution Impossible’ (which I don’t claim to have read). Perhaps Anthony has read it and perhaps he will briefly summarise its arguments? Comment deleted by moderator (Jonny Scaramanga). The site’s comment policy clearly states that creationist arguments are not allowed. Anthony Bennett may feel that this is unfair, since he was asked to provide these comments by other users. This is fair; I should have nipped the conversation in the bud sooner. I am not, however, suppressing freedom of speech. There are plenty of places online where creationist critiques of evolution can be found and discussed. This is not one of them. Thanks for that Paul. I viewed an article on this situation with dismay a couple of weeks ago. I live in Alberta, Canada. The same kind of foolishness takes place here. And in many school systems all over North America and Europe I expect. David McHarg, did you discuss this with the Head? And are you willing to give me more details at psbratermanATyahooDOTcom, indicating whether or not I can reveal your name amd’or the name of the school to colleagues? To the authroties who should be dealign with this? I think Anthony Bennett his the nail on the head when he says that there is “Not one verifiable historical fact in the Bible “. Good on yer. ” Not one verifiable historical fact in the Bible **has ever been falsified*** “. The British Museum is stuffed full of artefacts that prove various Biblical accounts down to the tiniest details. Even leading archaeologists use it today to sort out their previously dodgy Egyptian chronologies – bit by bit they are establishing that the Bible’s chronology is spot on. Every time. “Not one verifiable historical fact in the Bible has ever been falsified.” (Anthony.) What about the unverifiable historical facts in the Bible? 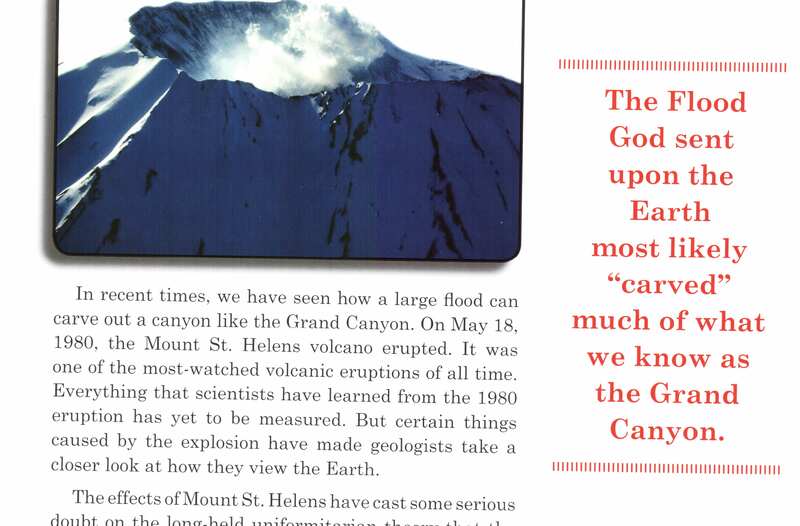 Such as a hill/mountain covering flood, said to have occurred around 4,300 years’ ago, which apparently destroyed the Earth and wiped out all of humanity except for eight people on a large boat. I believe that story to be totally falsified by both detailed ‘secular’ historic records and by science. I think it a matter of some regret that Anthony’s other responses, apparently directed towards me, were deleted before I could read them. I should point out that I was not aware of the details of this site’s Comments Policy. I did not know my comments were being deleted. If they are, then there’s no point in debating further. It tends to prove my suspicion that evolutionists do not welcome debate with evolution-doubters. I have spoken about historically verifiable facts, and will always be happy to discuss with anyone any evidence they think they have that disproves any fact recorded in the Bible. Yes, there are also many statements in the Bible which are either not verifiable or are not yet capable of verification. The Flood is, I suppose, unverifiable, except that I would suggest that there is a great volume of evidence in its favour (primarily from the record of rocks clearly laid down rapidly and in great quantities by fast flowing sediments in water) – and no historical or scientific fact or combination of facts that can contradict it. But that would require further debate. If that is not welcome, then i shall bow out here. @Anthony – thanks for popping by, there are plenty of academic journals waiting for your historically verifiablet facts to be submitted for peer review. here is not the place but thanks for the entertainment.